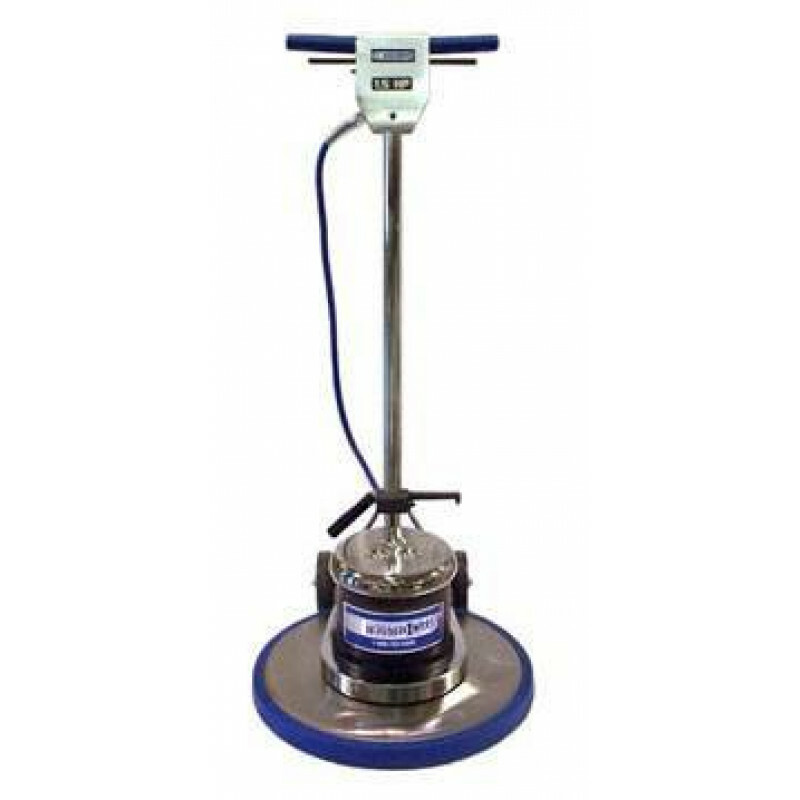 This dual speed floor machine can be used as either a low speed scrubber or a high speed polisher. The extra thick, chrome plated handle has dual safety switches for start-up and a dual speed switch built into the apron assembly. The lower speed is great for scrubbing, while the higher speed is ideal for polishing. Use in combination with any of our carpet scrubbing shampoo bonnets to clean your highly soiled carpeted areas. Then switch to one of our polishing pads to achieve a high shine on your tiled floor. This dual capacitor machine does it all! The all steel planetary transmission, and the 1.5 HP motor come standard with a 3 year warranty, and the rest of the machine is backed by a 1 year warranty, including parts and labor. 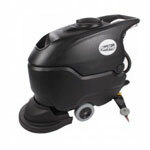 Looking for one of our dual speed floor scrubbers in a different size? Take a look at our complete line of rotary floor buffer scrubbers for other great options, if this machine does not meet your needs. Ultra quiet, all steel planetary high speed transmission. 3 position switch is affixed to apron to transition from low to high speeds.